On January 16, 1960, a group of MU alumni and friends met for lunch in the Student Union and resolved to organize a group called the “Friends of the University of Missouri Library.” Within five months, the group had received donations of books and manuscripts from twenty-six benefactors as well as cash gifts of more than $1,000. 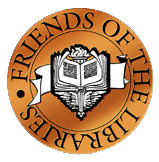 Today, the Friends of the Libraries is an association of donors dedicated to developing private support for the MU Libraries. An annual membership for a calendar year costs only $50 for an individual or couple. Students may join for as little as $15, and a lifetime membership in the Friends is $750, which may be paid over three years. Pay by credit card or use our Membership Form. For more information, please contact Sheila Voss at 573-882-9168 or at vosss@missouri.edu. Members of the Friends work together to organize programs, to raise funds and to advocate for enhanced library collections and services. The Friends organization has made substantial cash donations through the years to fund the purchase of materials and to enhance library facilities used by students, faculty, staff and the community. 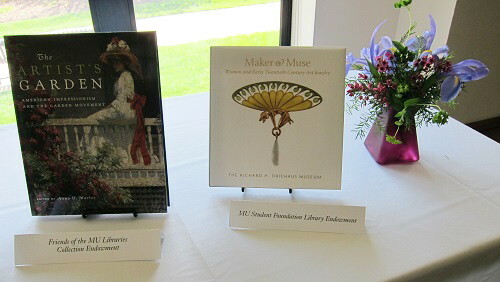 Individual members have also donated rare and valuable books or other materials that enhance the collections and status of the MU Libraries. The Friends encourage not only bequests of funds but also gifts-in-kind to support learning and research for future generations of students and scholars. 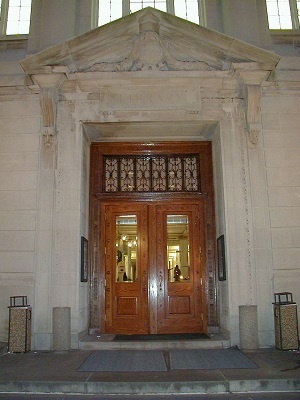 Renewal of North Doors of Ellis Library. In 1998, the original north doors of the main campus library were extensively renovated through the generosity of members of the Friends. Remodeling of Friends of the Libraries Colonnade. In 2001, the Friends renovated the central corridor of Ellis Library, leading from the north entrance into the south addition. The area now unifies the main floor of Ellis Library, and provides an area for exhibits, gatherings and special events. Gifts of Books: In May, 2004, two members of the Friends donated volumes of what they thought were old family bibles. Upon receiving their gift, we determined that the donation was a rare three-volume text printed in the 16th century. Only four copies were known to exist, and two of these were owned by Harvard and Oxford Universities. The work is a priceless addition to the MU Libraries Special Collections department, a true “Gutenberg in the Attic” donation. Gifts of Funds: Since 2000, the Friends have raised significant funds for the MU Libraries through special events and other activities. The Friends of the MU Libraries sponsor two contests annually. The MU Libraries Undergraduate Research Paper Contest seeks to recognize and reward outstanding research conducted by undergraduate students at the University of Missouri. Any undergraduate in any discipline is invited to enter the contest, which will be judged by a panel of librarians, members of The Friends of the MU Libraries, and MU faculty members. One $500 scholarship for first prize and one $250 scholarship for second prize will be awarded to an individual or group project. The winners will have their projects archived in MOspace, MU’s digital repository, and will have the opportunity to participate in a research presentation session at Ellis Library. The Robert J. Stuckey Essay Contest is open to Missouri high school students in the 9th through 12th grades. Each high school may choose one entry each year to submit to the contest. Essays may not have been submitted to any previous contest or have been previously published. Cash prizes are awarded for the top two essays submitted. First prize is $1,500 and second prize is $750. The teachers of the first and second-place winners also receive monetary prizes of $250 each.